Have you been thinking about being your own boss for a while? If you have a steady clientele, stop giving so much of your money to someone else like you do at those commission based salons. Take charge of your own business and make a change. Become your own boss, make your own money, and make your own hours here at Salon and Spa Galleria. When you’re ready to make the move and start working for yourself, the next step is finding the perfect salon with amazing suites for rent. One of the main things in finding a salon is finding one that is in a prime location. The sky is the limit in the beauty industry. Now is the time to get in on renting your own booth and at a high-end place. Here at Salon and Spa Galleria, we have just what you are looking for. We take pride in all of our salons and 100 percent take care of anyone that leases form us. We have amazing suites ranging in size and price. We have made it so you can in and with us and be on your own instead of working for someone else. So don’t wait a minute longer come to any location the best fits you and take a tour! 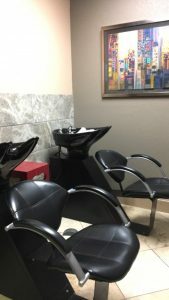 It needs to be convenient for you and your clientele, and with Salon and Spa Galleria having 5 prime locations we guarantee we can find one that will best accommodate you and your clients travel needs. Our entire salon suites are customizable to what best fits your personality. Paint and decorate, express yourself through your walls. It is your space now so make it your own. We also supply you with a 32-inch flat screen TV with Direct TV hook up for you and your clients to enjoy while you are working on them or for you to enjoy your free time. The increased income that follows renting a booth is also extremely attractive, and with many booth renters doubling or tripling their take-home pay when compared to a typical commission situation, it’s a great opportunity. We also give you twenty-four-hour access along with twenty-four-hour surveillance inside and outside the building for you and your client’s safety on those late nights. We know that all our tenants need to be accessible and ready for their clients anytime of the day. By leasing your own suite with us this could be the stepping stone if you eventually want to own your own salon. If you are ready to make the change and be your own boss, call one of our leasing managers today and make your dreams become reality. We would love for you to join our team. Bring your talents and your clientele and make this your new home. We strive to ensure all of our tenant’s success when they are leasing from us, why we give you many marketing tools as well as a free press release when you sign on with us. So don’t wait any longer and make Spa Galleria your new work home!